I feel like I should mark the closing of the 9 years that How I Met Your Mother has been in my life, and it’s quite fitting that I have just got back from New York where my first night was spent in McGees Pub getting drunk on a Robin Sparkles cocktail (more on that in my quite detailed trip report to follow). We didn’t really plan our trip, but perhaps we should have because we ended up leaving NYC an hour before the finale aired. CURSES. I think Carter and Craig were even at McGees last night watching it. Gutted. GUTTED. Farewell HIMYM. I feel really sad about you not being on the air anymore, but I’m going to leave that to Future Melissa to deal with. I still don’t know how to deal with HIMYM being over. I’m glad in a way, but also need a bit more time and perspective to deal with it all. 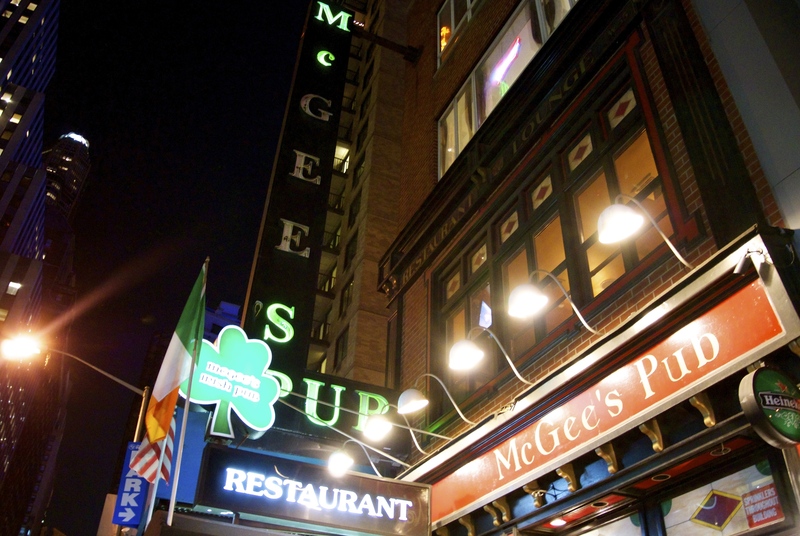 McGees had a special HIMYM drinks menu – it was awesome!